Egg has always been a part of a Filipino breakfast but most of us are clueless about the health benefits of eating eggs daily. 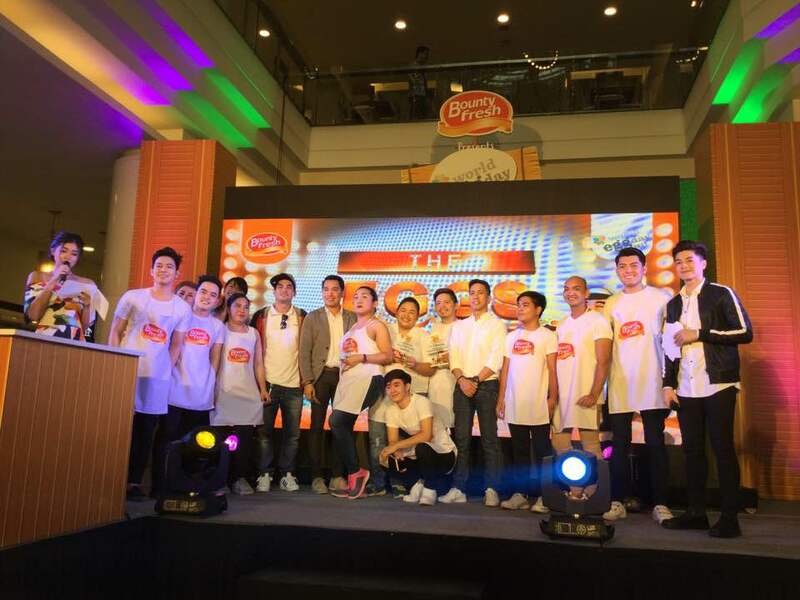 In an effort to educate the Filipinos, the country's top egg producer Bounty Fresh joined the world in celebrating World Egg Day 2017 by hosting a whole day event last October 12, 2017 at the Mall Atrium of Eastwood Mall in Libis, Quezon City. There are game booths for the consumers but the highlight of the morning activities is the contest onstage The Eggs Factor: The Search for the Singing Cook Eggs-traordinaire. Contestants wowed the judges and audience not just with their delicious omelette using Bounty Fresh Eggs but also with their singing prowess. There were 12 contestants who participated and three winners were chosen. It was a fun, competitive contest and everybody enjoyed the activity. Celebrity Bettina Carlos hosted the afternoon program. A "World Egg Day" AVP presentation was shown and Nutritionist speaker Ailyn Mae Kuan-Del Rio, RND, MSCN discussed about the nutritious benefits of eating eggs daily. 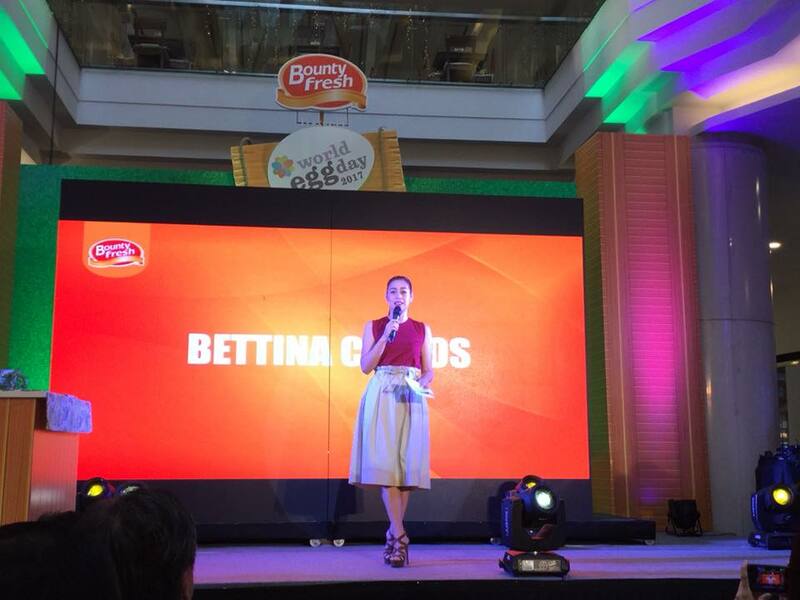 She has also debunked common myths and misconceptions about eggs. 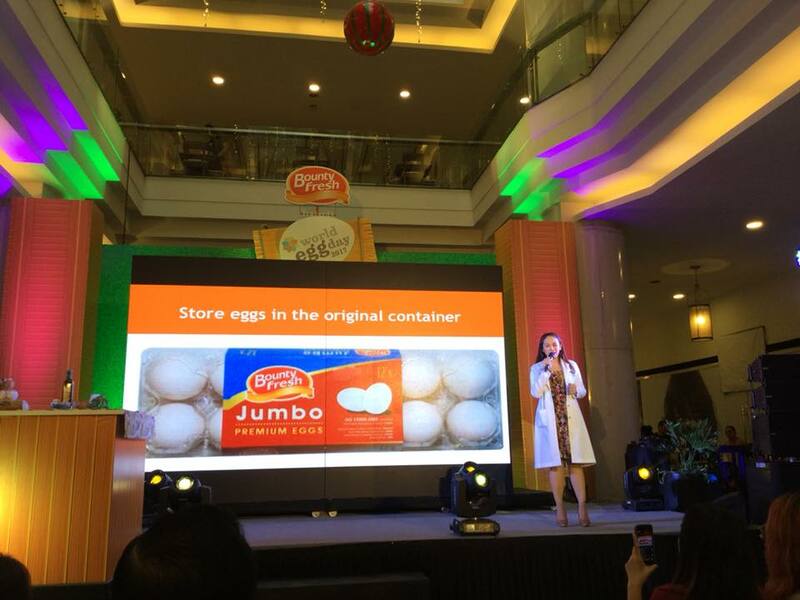 Credible agencies such as the Food Nutrition Research Institute (FNRI) under the Department of Science and Technology (DOST) attested that eggs are very good source of affordable, high quality protein. They are rich in vitamins D, B2, B6, and B12, as well as good source of minerals such as zinc, iron, copper, and choline. 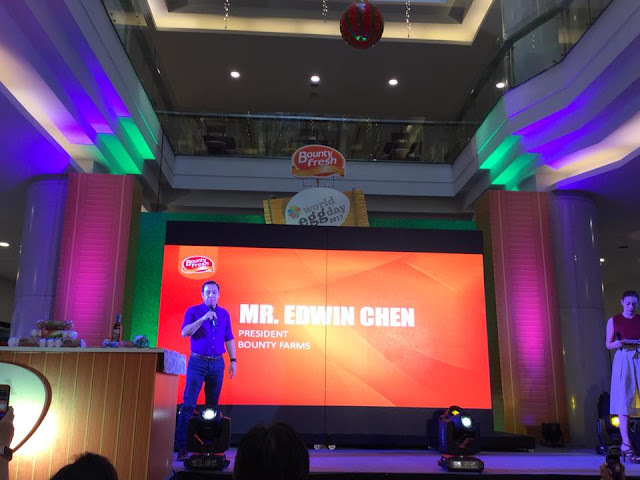 Mr. Edwin Chen, President of Bounty Farms said, "We are optimistic that by leading events like the World Egg Day, Filipino consumers will become more familiar with our products, especially the nutrition-enriched Bounty Fresh Eggs." 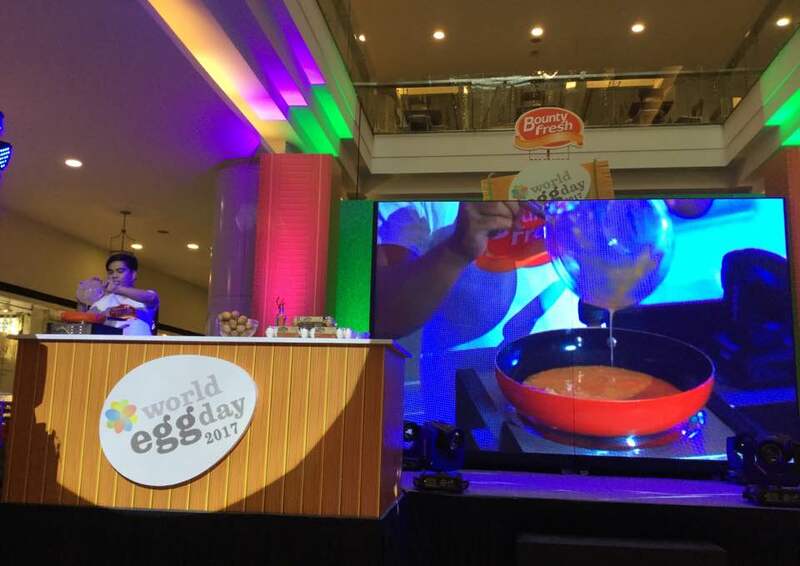 He also added, "Despite their affordability, the Philippine consumption of eggs is among the lowest in Asia. This is because of the misconception that eggs are bad for the health because of cholesterol. We want to correct this misconception." 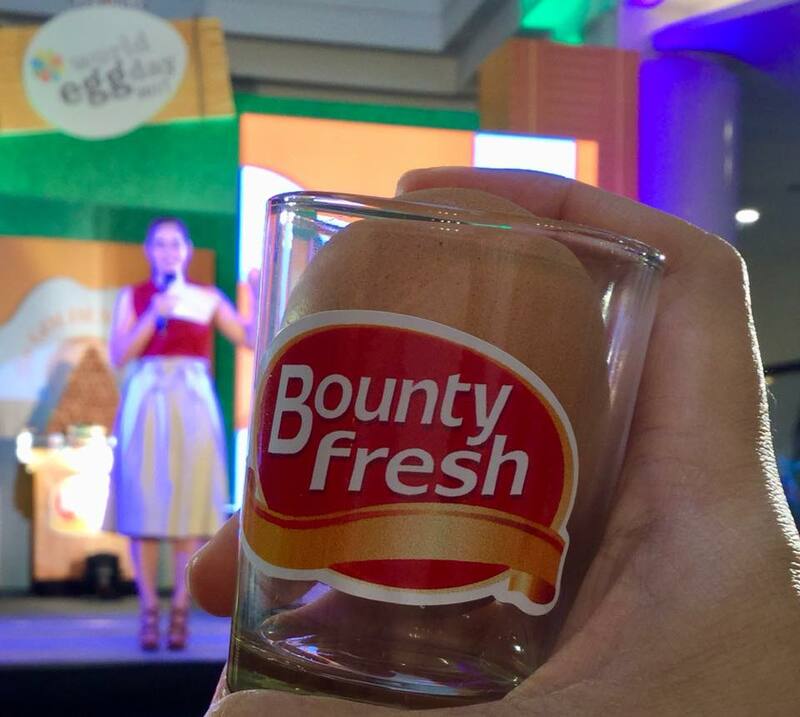 Follow the official Facebook page https://www.facebook.com/BountyFreshEggs/ to learn more about Bounty Fresh Eggs.